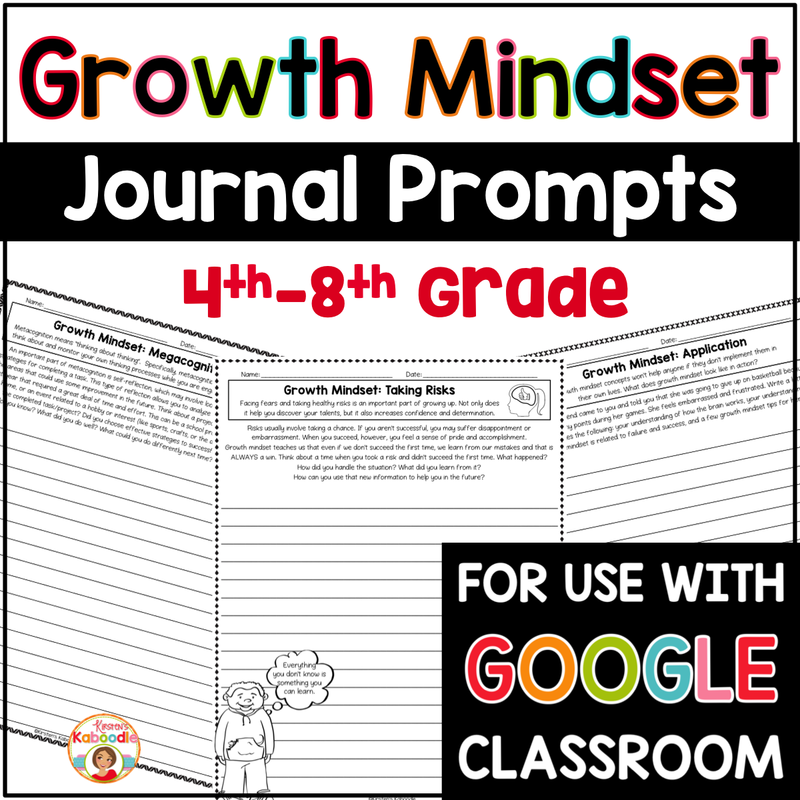 These Growth Mindset Journal Prompts are perfect for any 4th grade (and UP) classroom (and includes a digital option). Please note that 4th grade students may need extra explanation and discussion time to fully comprehend all the concepts and questions, but are fully capable of the reflection that is required. 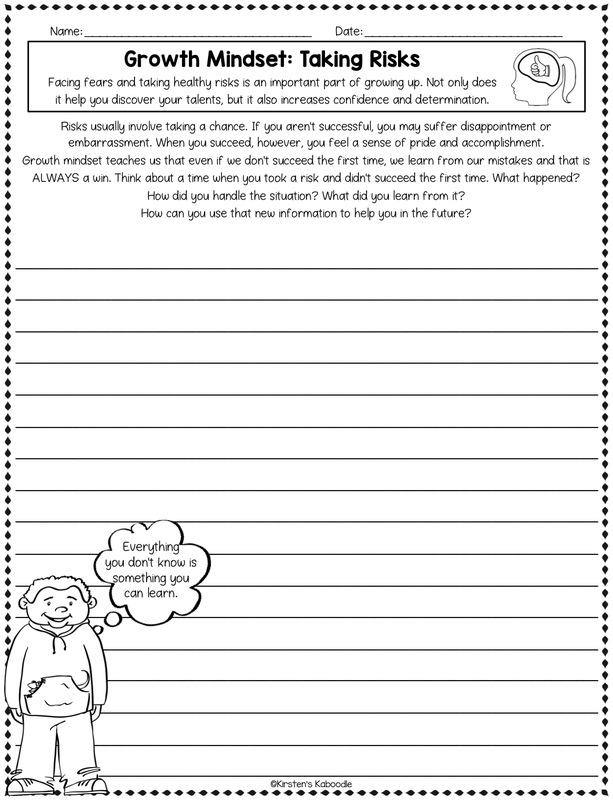 These Growth Mindset Journal Prompts are perfect for any 4th grade (and UP) classroom. 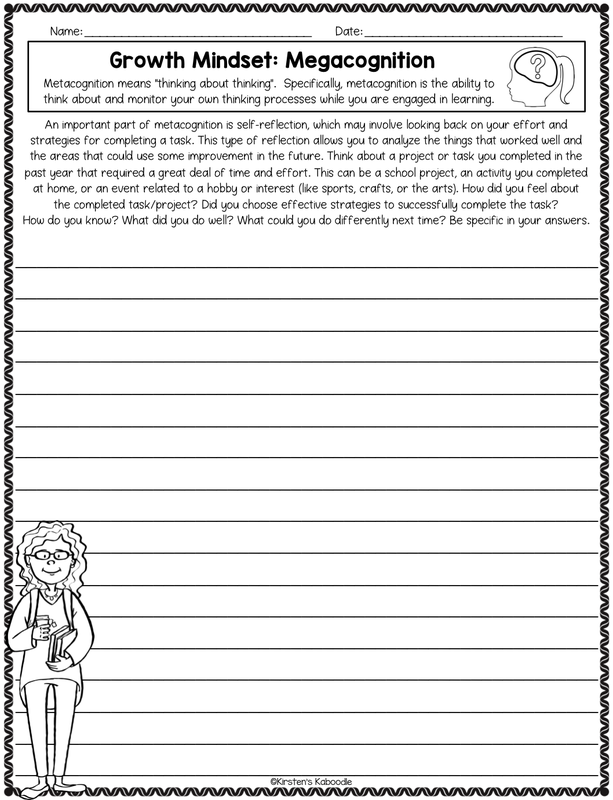 Please note that 4th grade students may need extra explanation and discussion time to fully comprehend all the concepts and questions, but are fully capable of the reflection that is required. 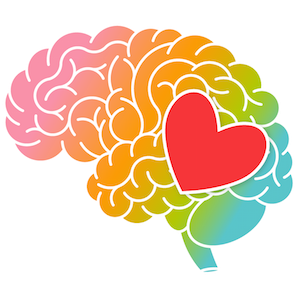 This product was creating for students and teachers who are working on growth mindset in their classroom. 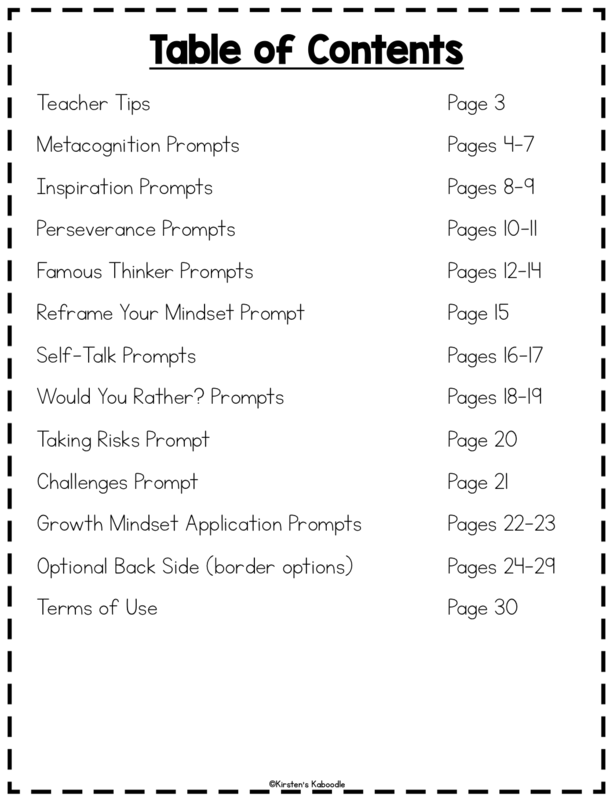 Please note that if your students are not familiar with fixed mindset and growth mindset, they will need some introductory information prior to using these journal prompts. 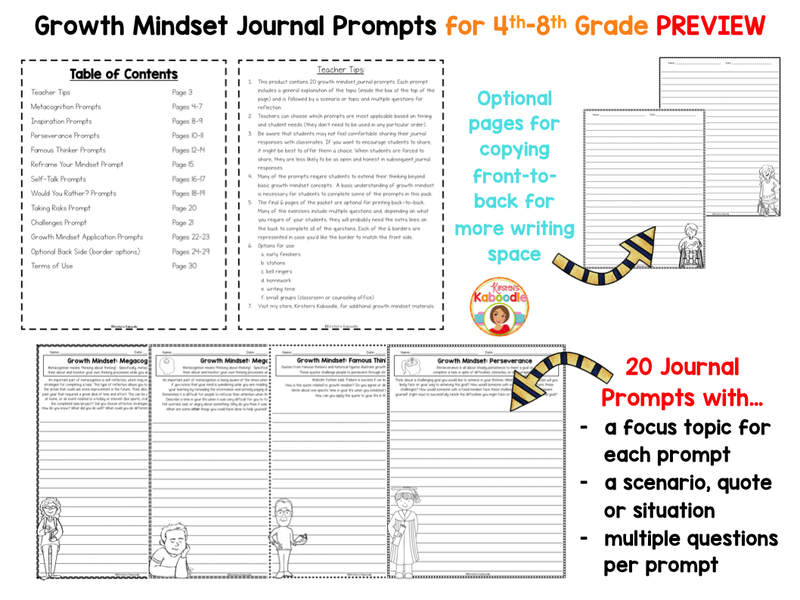 There are 20 different journal prompts as well as a page for teacher tips, and optional back pages (blank lines if you choose to copy front-to-back for students to have extra space to write. NOTE: THIS FILE NOW INCLUDES A DIGITAL OPTION! As of 1/10/19, this product includes a digital option (as well as the no prep printable option). The instructions for utilizing the digital portion appear at the end of the packet.